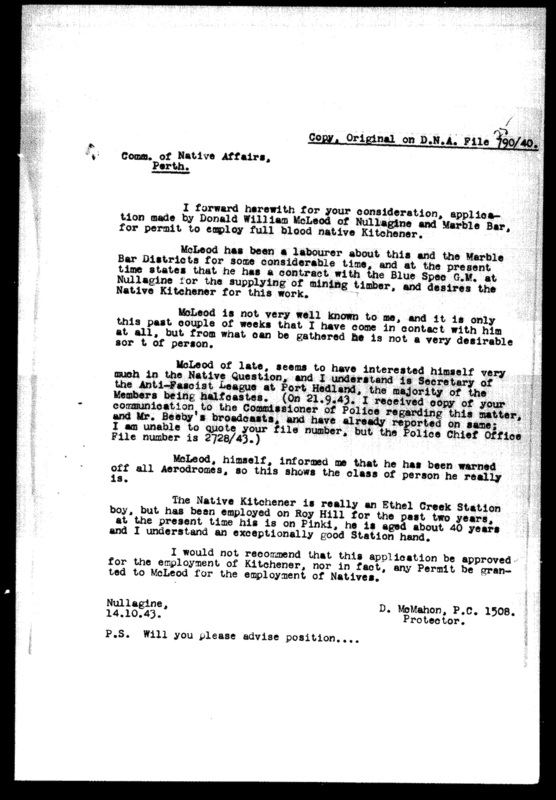 When McLeod began working with Kitchener at Bonney Downs he had already come to the attention of the authorities for his interest in Aboriginal issues. 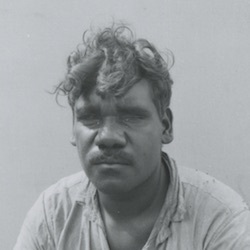 Constable D.M. 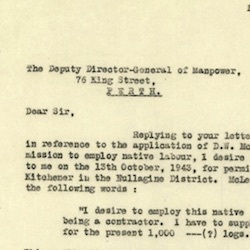 McMahon, Nullagine, to Francis Bray, 14 October 1943, SROWA, 1943/0685/25. 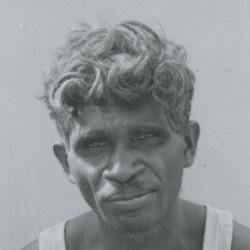 According to Snowy Jittermarra (Maruntu), marrngu had been looking for a long time for a way to acquire greater control over their own lives. 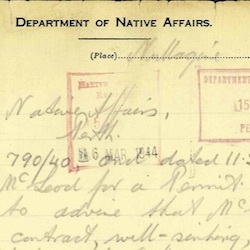 Discussions between a Nyiyaparli man called Kitchener and McLeod, who had already come to the attention of authorities for political activities on behalf of Aboriginal people, offered a way forward.